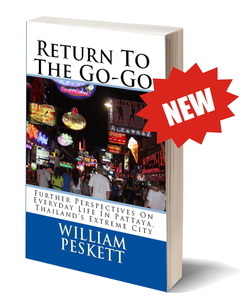 Return to the Go-Go is the second volume of insights by Pattaya veteran Khun Pobaan into everyday life in Thailand’s extreme city. The first collection, If You Can’t Stand the Fun, Stay Out Of The Go-Go, gathered together essays that had been previously published in a local newspaper. As is the way of things, the essays went online and the current crop of 45 pieces have been collected from the monthly blog It Occurs to Me. 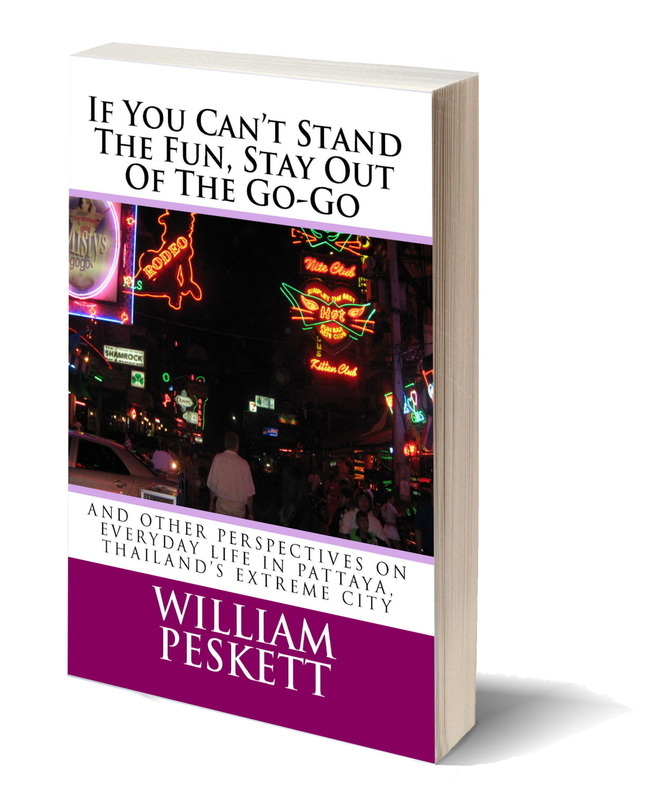 Subjects tackled by the fearless author include hairless women, toothbrushes, the Thai language, censorship, vasectomies, town planning, squid fishing, road safety, military dictatorships and of course Pattaya’s cultural gift to the world, the go-go bar. Each topic is ruthlessly examined for its humorous content and exploited as a source of wisdom and insight into the human condition. Readers who have no connection with Funtown may call the essays collected in this book no more than the blatherings of a demented lay-about, but those who have reason to visit Pattaya for their holidays or the sense to make it their permanent home know differently. For those with a genuine interest in all things Pattayan, Return to the Go-Go is the only guide they need. Khun Pobaan’s precise and sometimes painful observations of life are the only true public record of the unique form of civilisation to be found on the Thai eastern seaboard. Each essay is cleverly planned to take as long to read as it takes the average reader to drink a bottle of cold Leo beer. Please behave responsibly by not attempting to finish the whole book at one sitting. Available as an e-book and a paperback.